„I need your help” – writes Megan Imrie on her personal website. Why? How? We ask her now and try to help – because the Canadian team is one of the most sympathic one! Megan, quite actual information that Biathlon Canada has financial problems and you, the athletes have to find sponsors in order to have all the necessary things to be successful in Sochi. Can you explain us this strange situation? To tell you the truth in Hungary our athletes have the same problem – but for us seems incredible that in a two times Winter Olympic country you can be in such a financial situation. What can be the solution? How can we help you? The more people who know about www.pursu.it, the better. Donations or sponsorship through pursu.it , or letting people know about the website who might donate, is the easiest way to help. The other is to support your own biathlon team. 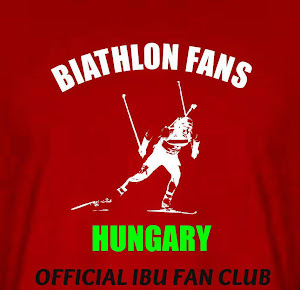 The more biathlon works as a community to better their associations, the more we will grow as individual nations. You had better and better results and two top 20 finish in the 2011/2012 season. You skipped the last season – can you tell us the reason? I had a tough training year that stressed my immune system to the max. In training I was often sick or even injured. I think it was too much training, too little recovery. This caused a bunch of medical issues (hormone levels, blood values, major fatigue) that could only be resolved with plenty of rest. I took the season off to recover my body. What is the result you would be satisfied with in Sochi? What do you think in which discipline you have the best chance? I would be satisfied with a top 15 result in Sochi. I think the individual or the pursuit could be my best chance. Where and how do you train in this phase of your preparation? Our team is based out of Canmore, Alberta. We train as a team about 5x per week with intensity or shooting and strength. We do plenty of long distance rollerskiing, or even ski in the mountains here until mid-June. Athletes love to give back to their community. Working in schools with kids is so much fun for me, and kids now need motivation to be active and do sport. Biathlon is such a fun sport- we need to inspire the stars of tomorrow. Thank you for your answers and we wish you all the best for the preparation and finding sponsors!! !